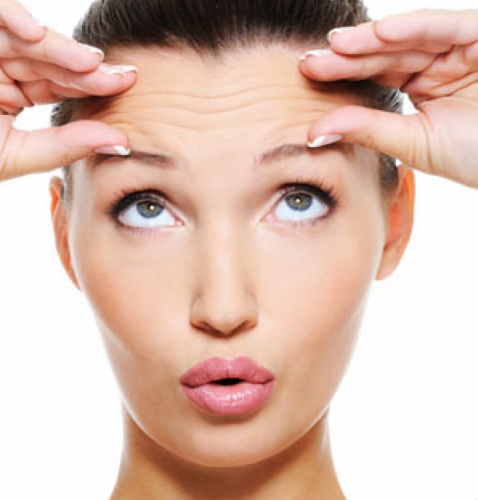 Brow Lift surgery in Mexico defines, lifts and, ultimately, repositions the eyebrows. As a natural part of the aging process, gravity causes the eyebrows to fall or droop giving the appearance of tiredness. If friends or family frequently tell you that you look tired, sad, and angry or all of the above, brow lift surgery in Mexico can quite dramatically restore the general appearance of your face. The brow tends to age chronologically earlier than the eyelids, and a common mistake people make is thinking you may have excess skins on the upper eyelids so it is significant for us to evaluate each patient on an individual case, since it may be the fallen eyebrow, excess skin on the upper eyelids or a combination of the two. The ideal female brow is arched laterally and downward to the side finishing on the orbital rim. The ideal male eyebrow is a straight line that runs along the orbital rim. What should I expect from my Brow Lift Surgery in Mexico? Before your Brow Lift surgery at Reveert you will have a pre-consultation session, our plastic surgeons at Reveert will evaluate your face, and give special attention to the upper third of the face in determining whether the issue is related to the eyebrows or excess skin on the eyelids, or both. We will discuss the changes you ultimately desire and the procedures recommended in achieving amazing results. In order to effectively evaluate your health status, you will undergo medical examinations. These examinations include lab tests and a preoperative cardiac evaluation. Our plastic surgeons at Reveert will take before-surgery pictures to evaluate the areas of concern and further advise you on specific details concerning your Brow Lift surgery in Mexico, including incisions and where they will be located, risks of Brow Lift Mexico, pre-operative care for Brow Lift Mexico, as well as Brow Lift Mexico recovery time. Following this exam, we will schedule a surgery date and you will be given the necessary instructions to follow before your surgery at Reveert. You will be given all medical garments and medicine, which will include pain medication, anti-inflammatories and antibiotics. Your first follow-up appointment will be scheduled. How long will Brow Lift surgery in Mexico take? Brow Lift surgery Mexico lasts approximately 3 hours. What type of anesthesia is used during Brow Lift surgery in Mexico? The type of anesthesia used in Brow Lift surgery Mexico is local anesthesia and light sedation typically known as “twilight” sedation. This is an outpatient procedure and does not require hospitalization. You will stay in the hospital until full effects from the sedation have worn off, which is between 2 and 4 hours. In addition, your first follow up appointment will be scheduled. How long does it take to recover from Brow Lift Surgery in Mexico? Recovering from Brow Lift surgery Mexico is speedy, since we only make small, endoscopic incisions, thus reducing the risks of alopecia (hair loss). During the first few days after your Brow Lift surgery, it is necessary to limit your physical activity to avoid increased inflammation. Patients recovering from Brow Lift surgery can typically continue with their normal activities by the end of one week with the consent of the plastic surgeon at Reveert. What will my incisions look like after Brow Lift surgery in Mexico? The incisions made in endoscopic Brow Lift surgery Mexico are very tiny—approximately 1 cm. Three incisions are made using an endoscopic approach to avoid large incisions which can results in hair loss. These small incisions are located where they are ultimately hidden by hair.